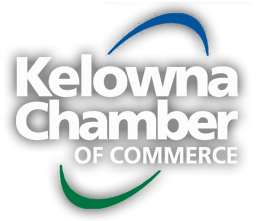 Being part of the Kelowna Chamber of Commerce has helped me feel a part of the community. The events are great to get involved with, and helped me to get to know other businesses and individuals in the Okanagan. I feel safe sending business owners to join the Chamber, knowing that they will be well taken care of. The Kelowna Chamber of Commerce understands that everyone is unique. That's why we offer a tiered benefit structure with four levels of membership. Whether Platinum, Gold, Silver or Bronze, our Business & Development team will ensure that you are perfectly paired with a membership package that suits your business needs. We are also proud to offer our customizable Chamber Group Insurance Plan to each member, regardless of their membership tier. Membership in the Chamber is invoiced on an annual basis from time of joining. We have cash flow optimization options, including monthly payments. For detailed descriptions of the membership tiers, please contact us. Registered not-for-profit organizations may join at any level, based on whichever package most fully communicates their programs and raises community awareness. For more information on finding a membership option that's right for you, please contact our Sales & Business Development team or call 250-469-7357. For other payment options, please contact our Sales & Business Development Team. Let us help you find the right fit for your business.